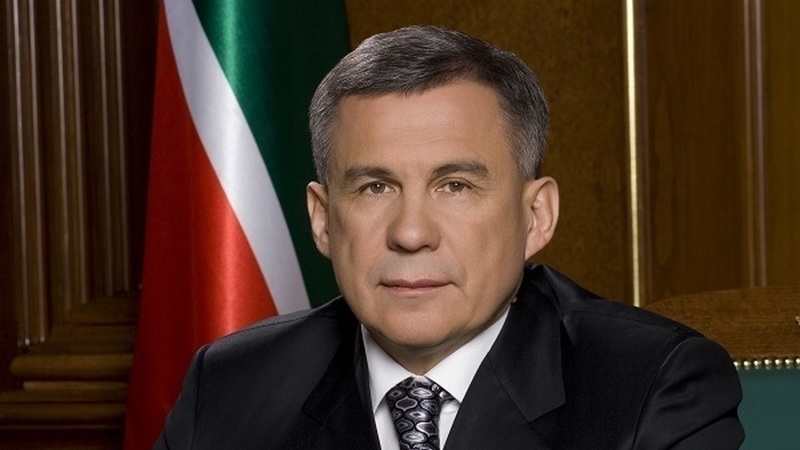 On May 15, Tatarstan President Rustam Minnikhanov paid a working visit to Saratov to take part in a joint meeting of the Secretary of the Security Council of Russia and Presidential Plenipotentiary Envoy to Volga Federal District. The meeting was held by Secretary of the Council Nikolai Patrushev and Presidential Envoy Mikhail Babich. Heads of the regions of the Volga Federal District, representatives of the federal ministries and agencies, who took part in the meeting, discussed issues related to preventing the spreading of destructive views and trends among students, as well as countering the illegal trafficking in narcotic drugs, psychotropic substances and their precursors in the regions of the district. Following the meeting, the most constructive proposals will be included in the draft resolution and reported to the Russian President. On April 19, at the Government House of the republic, Tatarstan President Rustam Minnikhanov had a meeting with Head Coach of the Russian national synchronized swimming team Tatyana Pokrovskaya. On April 18, during his working visit to Ufa, Tatarstan President Rustam Minnikhanov met Chairman of the Central Spiritual Board of Muslims of Russia, Supreme Mufti Talgat Tajuddin. On April 18, during his working visit to Ufa (the Republic of Bashkortostan), at their meeting with Acting Head of the Republic of Bashkortostan Radiy Khabirov, Tatarstan President Rustam Minnikhanov said that Tatarstan and Bashkortostan have rich potential for the development of mutually beneficial cooperation. On April 18, during his working visit to Ufa, Tatarstan President Rustam Minnikhanov together with Acting Head of the Republic of Bashkortostan Radiy Khabirov took part in a ceremony of unveiling a monument to the great Tatar poet Gabdulla Tukay.